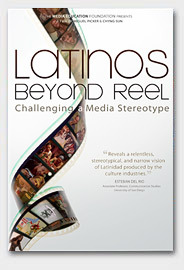 CSRC Director in New Film "Latinos Beyond Reel: Changing a Media Stereotype"
In the new release "Latinos Beyond Reel: Changing a Media Stereotype," filmmakers Miguel Picker and Chyng Sun examine US media and its portrayals of Latinos. CSRC director Chon Noriega, along with other Latino scholars, provide insight over these representations. 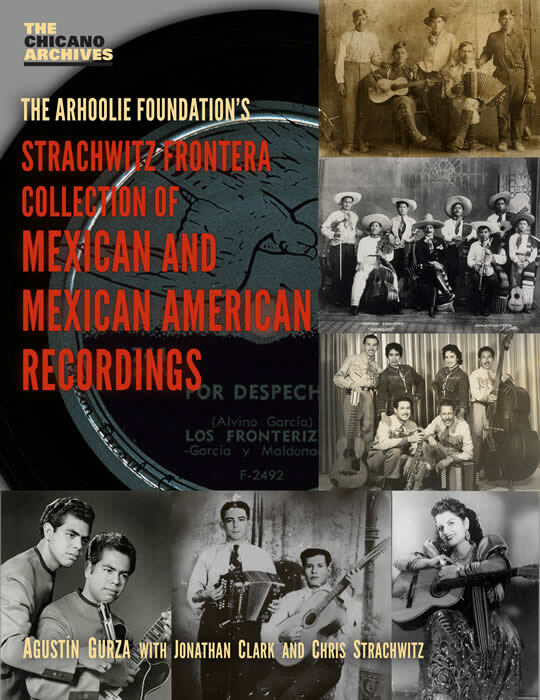 CSRC RELEASE: "New CSRC Publication Explores Unprecedented Collection of 20th Century Mexican and Mexican American Recordings, Now Online at UCLA"
The UCLA Chicano Studies Research Center Press (CSRC) announces the release of "The Arhoolie Foundation’s Strachwitz Frontera Collection of Mexican and Mexican American Recordings," the sixth volume in The Chicano Archives series designed to stimulate new critical and historical research based on archival sources. MEDIA: "Former Register Columnist Agustin Gurza to Discuss Mexican Music Book"
The California Chicano News Media Association will hold a fundraiser featuring Agustin Gurza, Orange County Register columnist, as he discusses his recently released book about UCLA's rare collection of 20th century recordings of Mexican and Mexican American music. MEDIA: "NHMC, UCLA Chicano Studies Research Center Findings Point to Important Media Role Shaping Public Opinion"
National Hispanic Media Coalition (NHMC) recently released findings of academic studies regarding the influence of Hate Speech done on commercial talk radio to social media websites, promoting hatred toward people of color, people of certain religions, and LGBT people. These academic studies were initially published in the UCLA CSRC. 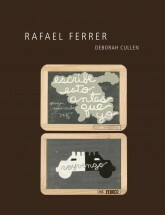 CSRC RELEASE: "Postminimalist artist Rafael Ferrer is subject of new book from CSRC Press"
The UCLA Chicano Studies Research Center Press announces the release of "Rafael Ferrer," the seventh volume in the A Ver: Revisioning Art History book series. MEDIA: "Prominent SoCal Latin American Museum Cuts $600K from Budget"
The Museum of Latin American Art lays off its chief curator and four other workers to cut costs. Chon Noriega, CSRC director, speaks in regard to these actions. The CSRC Press release The Arhoolie Foundation's Strachwitz Frontera Collection of Mexican and Mexican American Recordings is reviewed in the current issue of the trade publication Blues & Rhythm, published in the United Kingdom. On Saturday, November 17, the California Chicano News Media Association (CCNMA) will hold a special fundraiser featuring award-winning journalist Agustin Gurza, former Los Angeles Times music critic and Orange County Register columnist, who will discuss his recently released book about UCLA's rare collection of 20th century recordings of Mexican and Mexican American music. 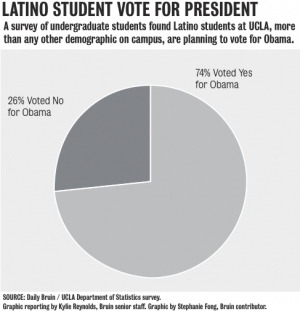 MEDIA: "Survey Finds U-Latino Students More Likely to Support Obama"
Carlos Haro, CSRC project coordinator and former assistant director, is quoted in this story on recent poll conducted of UCLA Latino undergraduates regarding their preferred presidential candidate. A summary of the latest CSRC news, events, Library acquisitions, and Press publications.